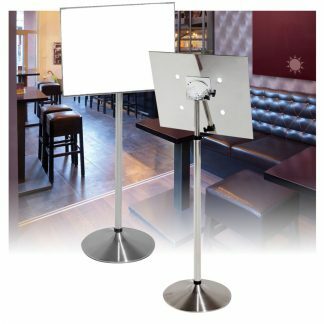 Our best value and most popular Q stand ! 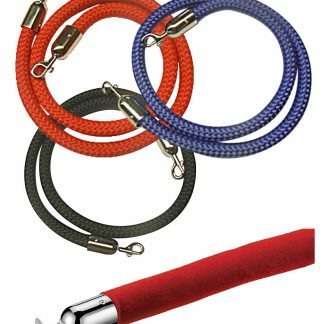 Our “Little Buddy” Q barrier rope pole is built tough. Almost impossible to tip over. 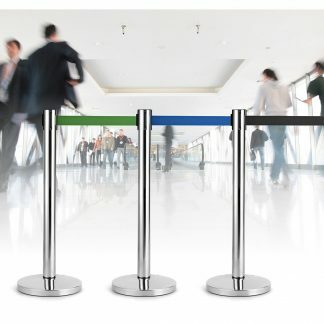 Made with brushed stainless steel, more durable than chrome as it is more resistant to rust. The brush finish also hides any scratches. 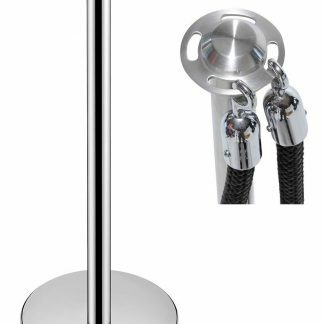 The head of the pole queue has 4 eyelets to which multiple ropes can be attached at various angles. 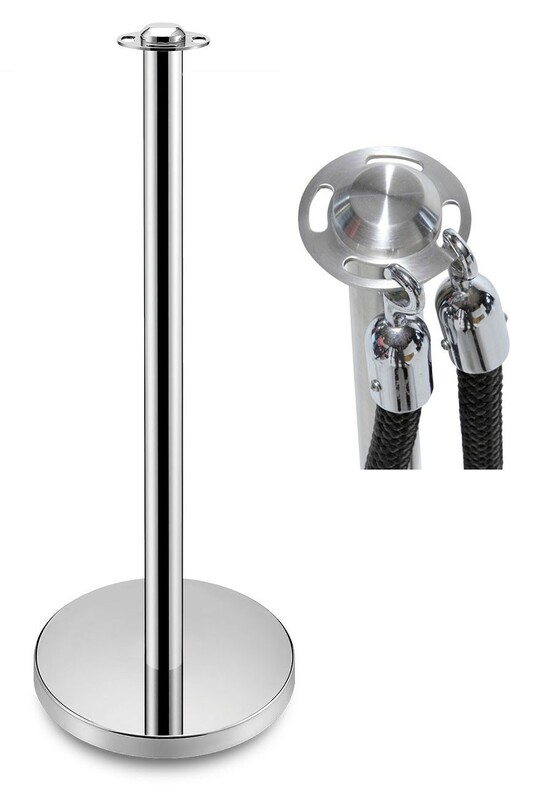 Stainless steel pole is 38mm in diameter and 840mm in height. 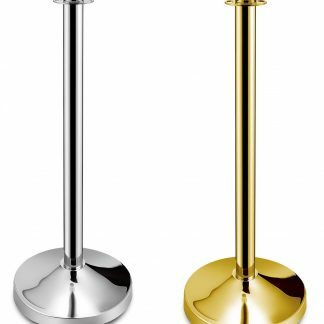 Base is 300mm in diameter and 7kg in weight. 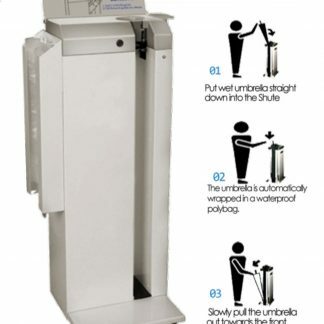 Umbrella Wrapping Machine. manually operated to keep your floors dry.